A country that boasts its own personality and character must have elements and indigenous traditions that set it apart from neighboring countries. That is the case with the Basque Country, which has its own language, Basque, political institutions based on their historical rights, cultural traditions (improvisation sung poetry, dance, etc.) and sports (Basque handball, rowing, rural sports, etc.) in addition to a rich culinary culture which is currently its best asset in representing the Basque Country to the rest of the world. You can find Basque culinary treasures in a series of traditional dishes (cod, squid in its ink sauce, sheep milk yogurt, grilled T-bone steak, etc.) 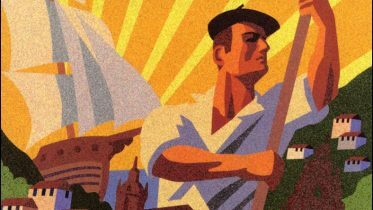 which are already part of Basque identity, but it wouldn’t be fair if I forgot that the basis of this culinary culture is sustained by some wonderful food products such as our meat, our milk, our fish, our home raised produce and our beverages such as txakoli and cider. Idiazabal cheese, sheep milk yogurt, beans (either the type produced from Tolosa, from Araba, or the Gernika variety), Ibarra pickled peppers, the Gernika pepper, cider, Rioja Alavesa and Navarra wines and Txakoli, among others, are the best examples of the many treats that make up the rich foods of Basque heritage. 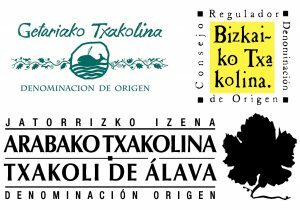 Being aware of this large range of foods, I have decided that it would be suitable to focus on a product that is so very much our own here: Txakoli, a Basque wine with lots of history that is expanding to the world. Txakoli is a special white wine that has always been linked to the history of the Basque people, although it is known as a wine linked to the Cantabrian coast, it is no less true that there are numerous historical testimonies of its roots in large territories of the interior of the Basque Country, in the provinces of Gipuzkoa and Bizkaia, as well as in the Aiala Valley, in the province of Araba. Txakoli, as I said earlier, has been linked to the Basque people for several centuries, but it was in the 19th century when a series of plagues (oidium, mildium and finally phylloxera) put the cultivation of wine and the elaboration of Txakoli on the verge of disappearance and for this reason it is common, even among some Basques, to consider Txakoli as a new wine among us. 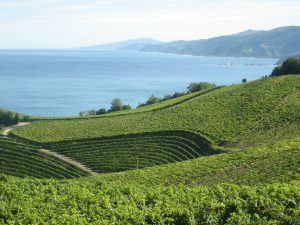 Indeed, it was in the 20th century when because of the tenacity of some small growers, mainly off the coast of the province of Gipuzkoa, work was done to regain the cultivation and production techniques to improve the end resulting wine. It was Pedro Txueka, Patriarch of the Txueka family who led the prestigious Winery Txomin Etxaniz of Getaria (province of Gipuzkoa) and travelled to France to learn the precise techniques of French winemakers to significantly improve the development of Txakoli, previously disliked for its acidity. That knowledge was conveniently transferred to the rest of producers of Gipuzkoa, but, as a friend told me recently, its collaborative effort also came to Bizkaia arriving, in some cases, on an endless train ride. So, if in the 19th century most vineyards almost disappeared and consequently Txakoli with them from Basque lands, it was in the 20th century when the impulse of growers and the protection by the leaders of Basque institutions created favorable conditions conducive to the strengthening and establishment of what we currently know as the world of Txakoli. 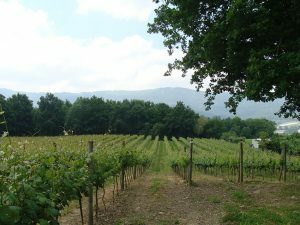 Nowadays Txakoli is a fresh wine, with moderate alcohol (around 12°) slight acidity and, depending on the territory of production, with tiny natural carbon bubbles. 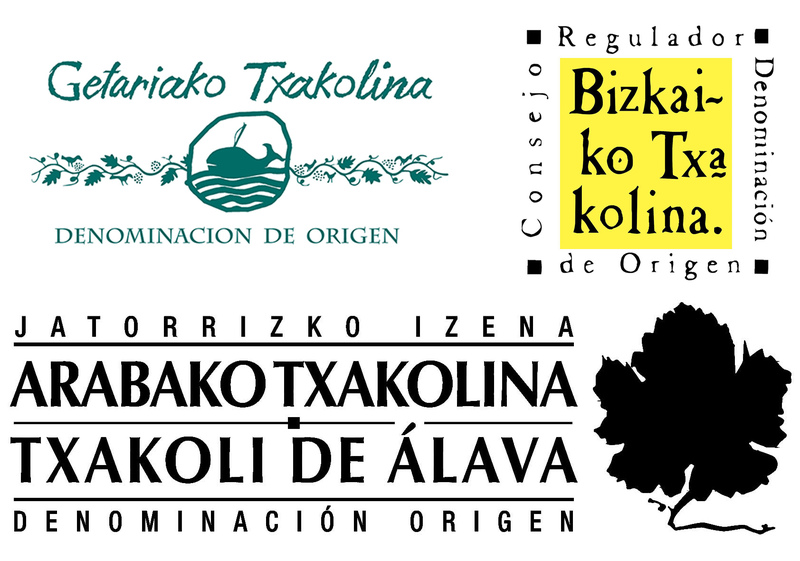 Its production is organized under three categories of different origin, one for each province of the Basque Autonomous Community (Getariako Txakolina in Gipuzkoa, Bizkaiko Txakolina in Bizkaia and Arabako Txakolina in Araba). All of them have their respective regulatory councils where growers and winemakers are leading the present and future of this excellent wine. 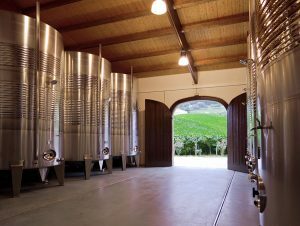 Each category has its own history and characteristics but in all of them the small size of farms, artisan craftsmanship in winery, the mountainous terrain and the family nature of the setting of exploitation itself mark the personality of this wine, Txakoli, which is gradually gaining supporters around the world. It is also gaining ground from the Basque coast to the mountainous interior where, until just recently, we had to settle for hearing about it in historical references, reading ancient books and texts about it. The family character of Txakoli is something inherent to its history, since in the majority of cases the vines, grown on smaller hillside farms, are located around the typical Basque farmhouse or the winery and the members of the family are the ones who carry out most of the work. So they, themselves, are organized with an effective division of labor within the family and are engaged in commercial work. 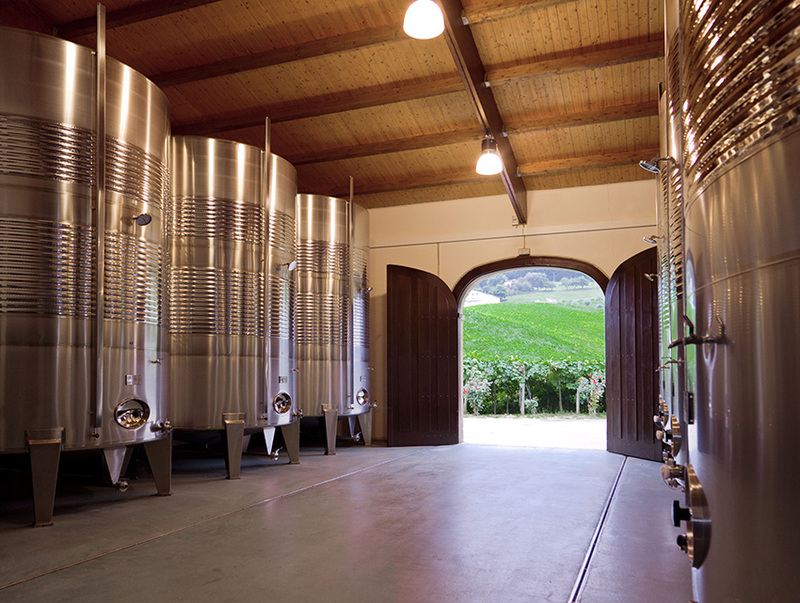 However, I have to admit that an increasing dimension of the wineries joined by the growing professionalization, makes it imperative to resort to experts in trade negotiations for dealing with the challenges regarding the exporting of Txakoli. That’s why when you get the chance to have a bottle of Txakoli in your hands, you might look at it as an opportunity for taking a few sips of history, both family history and history of the Basque people, with aromas where the salty waters of our Bay of Biscay and the mist of our beautiful mountains flow. 8 Comments on "Txakoli, a Basque Wine Open to the World"
Linda nota. ¿Dónde se puede comprar Txakoli en la Argentina? What on earth is ‘Txakoli’? El origen de este linaje de los Chueca aragoneses procede de la villa de Calcena, donde nace en el 1468, Miguel de Chueca, infanzón que llegó a centenario; la rama troncal afincada en Calcena, cuenta entre sus miembros a Miguel de Chueca y Rodrigo, que organizó el escudo de armas, y al nieto de éste, Diego de Chueca y Rincón, catedrático de la Universidad de Zaragoza, juez consultor en el proceso del Milagro de Calanda, obispo de Barbastro y Teruel; la rama segundona de los Chueca se afincó en Novallas, posteriormente se trasladó a Malón. De los Chueca de Calcena derivó también otra rama en El Frasno, desde el siglo XV, y otra en Tarazona, donde llega en el siglo XVIII y se establece en esta ciudad. Aki en USA el txakoli es muy karo,por ejemplo Txomin Etxaniz hata 29 dólares mas impuestos.